Thanks for Stopping by Our Surf Expo Booth! Xtreme Fat Tire Bikes would like to thank you for your interest in our innovative line of fat tire bicycles featured at the Surf Expo in Orlando last month. Call us at (757) 635-5160 to discuss Dealer Opportunities! Our One of A Kind Electric Bikes. 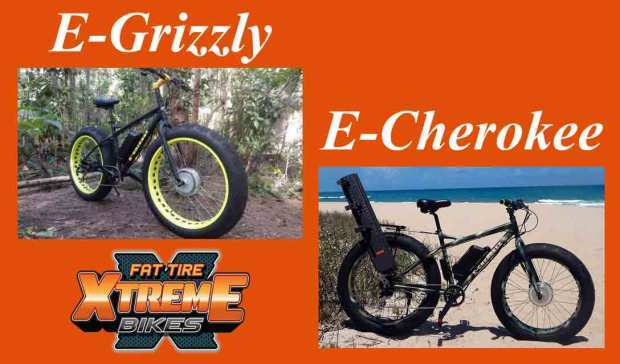 Our Electric Fat Tire Bikes the E-Grizzly and E-Cherokee caught quite a bit of attention with their revolutionary front wheel drive motors that can power over obstacles and on any terrain, even up a flight of stairs! We have a limited number of both the 1000 Watt and our Off Road 1250 Watt in stock in both camo and matte black available for purchase on our website XtremeFatTireBikes.com. But the bikes are going fast as the interest continues to soar. 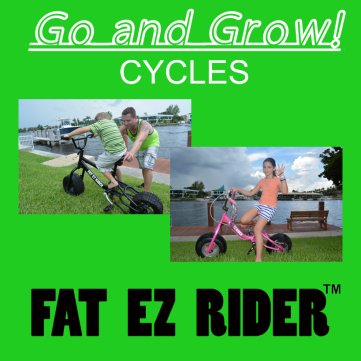 And last but not least, we featured our adjustable children's Go and Grow Fat EZ Rider that makes learning how to ride a bike for the first time easy and fun because of our super stable extra fat tire that allows your child to ride on any surface from sand, dirt, grass and even snow. The Fat EZ Rider also features 3 fat tire sizes and 4 fork adjustments to create an adjustable bike that grows as your child grows from toddler to teen. Now Available for Pre-Order at our IndieGoGo Campaign. We listened to your input at the show and have totally revolutionized the industry once again, by taking this great ultra fat kids bike and converting into an e-bike called the "E-Fatty Ultra" with its 6" wide tires and still able to have three diameters 12", 16", and the Ultra Fatty at 20". This bike will work for kids or adults and do anything you want to do with an E-Bike. Don't miss out on getting our E-Fatty Ultra coming this spring!